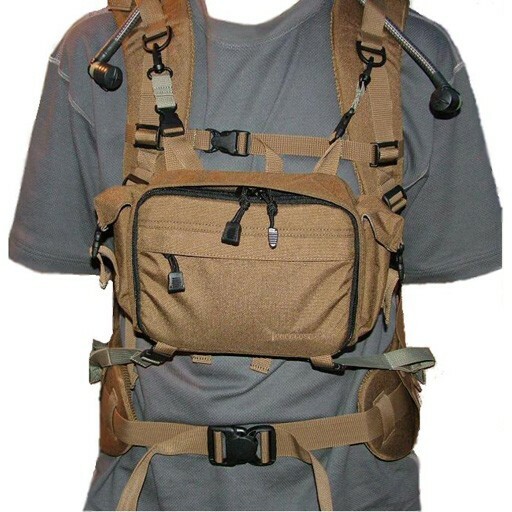 Eberlestock customers have been asking us for this for a long time, and its time has come! 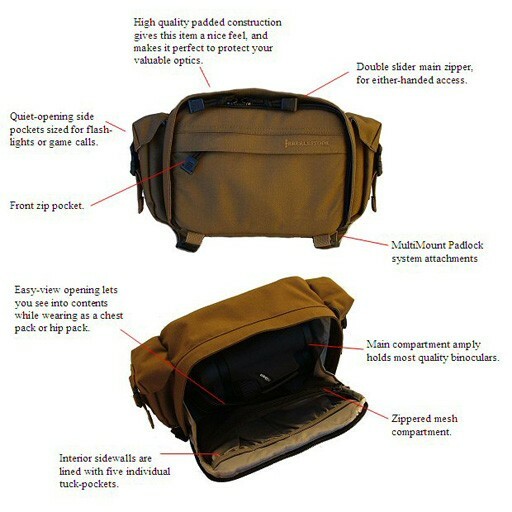 Not only is the Nosegunner a great binocular or camera chest-pack, but it's the first one ever to have a built-in holster for a handgun or rangefinder. We waited until this product was perfect, and we hope you agree that we got it right. 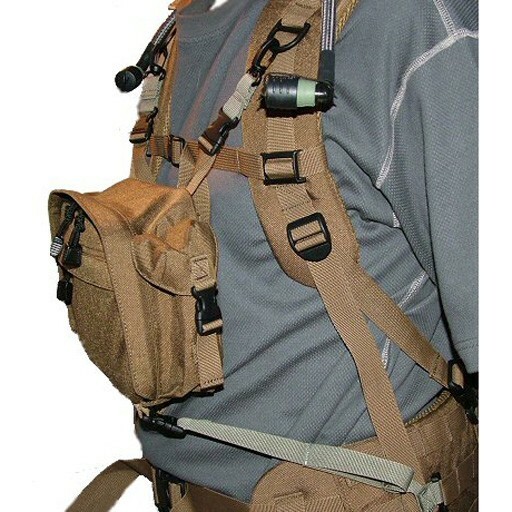 PRODUCT FEATURES -3D mesh harness is very comfortable and ultra-breathable and can be worn under a pack -- or removed if you're carrying the Nosegunner with our APSK kit. 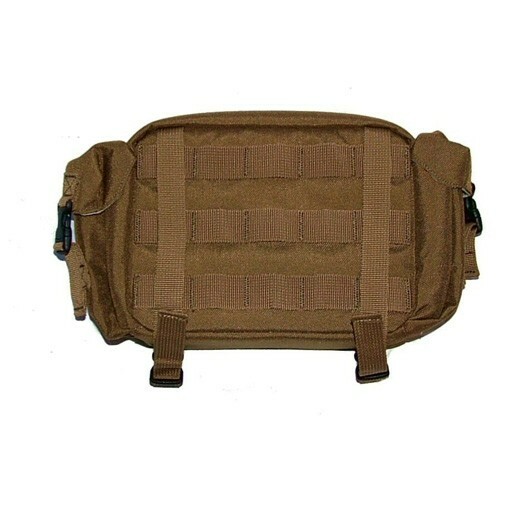 -Back panel has MOLLE webbing so you can add A3SB and hydration or other accessories. -Dual purpose pistol holster carries laser rangefinder or any semi-auto or revolver for safe carry and quick access. 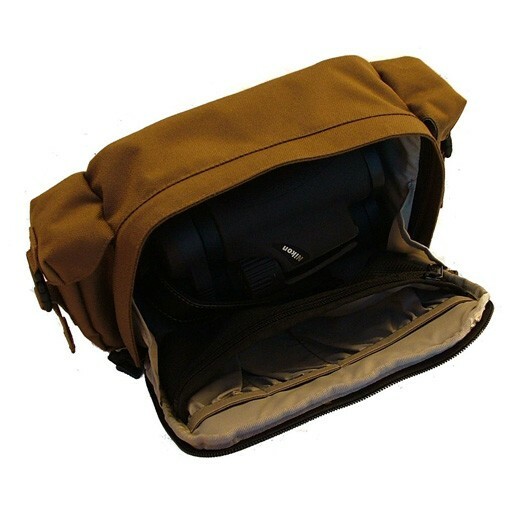 -Magnetic main compartment closure makes it easy and quiet to get binos in and out -An assortment of exterior and interior pockets for small items. -Compatible with our APSK chest suspension kit.